There are two main Aspergillus infections that directly involve allergy. One is ABPA and the other is allergic fungal rhinosinusitis. In both cases the patient has an allergic reaction against the infecting material – this is completely different from an inflammation of infected tissue, which is the more usual case. The fungus does not invade the tissue but simply triggers the allergic response which can become chronic. Breathing in spores from the air can cause more problems for these patients as they are already primed to react to the fungus. Therefore, patients with these conditions should avoid situations where they will be breathing in a large number of spores eg. damp houses, gardening, composting etc. Once sensitised, adults tend not to get better; in fact they tend to accumulate more allergies, but these can be effectively treated. Children who become allergic tend to recover as they get older. See Web MD for more information about chronic allergies. The term allergy is used to describe a response, within the body, to a substance, which is not necessarily harmful in itself, but results in an immune response and a reaction that causes symptoms and disease in a predisposed person, which in turn can cause inconvenience, or a great deal of misery. 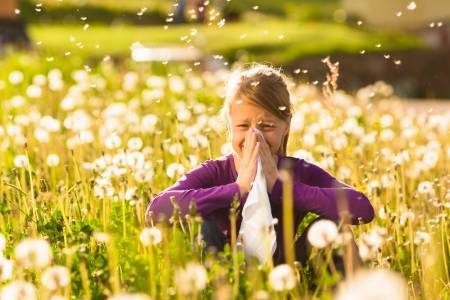 An allergy is everything from a runny nose, itchy eyes and palate to skin rash. It aggravates the sense of smell, sight, tastes and touch causing irritation, extreme disability and sometimes fatality. It occurs when the body’s immune system overreacts to normally harmless substances. What causes an Allergy ? In fact it is an organic compound, containing hydrogen, oxygen and nitrogen, which form an important part of living organisms. An allergic person’s immune system believes allergens to be damaging and so produces a special type of antibody (IgE) to attack the invading material. This leads other blood cells to release further chemicals (including histamine) which together cause the symptoms of an allergic reaction. sneezing , runny nose, itchy eyes and ears, severe wheezing, coughing, shortness of breath, sinus problems, a sore palate and nettle-like rash. When asthma, eczema, headaches, lethargy, loss of concentration and sensitivity to everyday foods such as cheese, fish and fruit are taken into account the full scale of allergy be appreciated. The Allergy UK website goes on to further explain what an intolerance is, what a multiple chemical sensitivity (MCS) is, and how these are all diagnosed and treated. UK medical charity for the support of people with allergies. This charity runs a product endorsement scheme for allergy sufferers, a helpline, support network and more. If you have a problem with allergies, these are amongst the best people to ask for information. Visit articles and pollen & mould information here. Spore count information across the UK. Find out how bad your area is this week. Tool: do you have a food allergy? 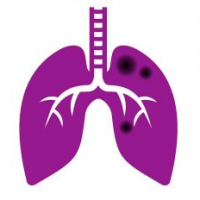 Asthma and Allergy Foundation of America US non-profit organisation offering education, resources, publications (also in Spanish). National Allergy Bureau Spores counts from across USA: find out what the counts are like in your area this week.